Dr. Sarah Jacobs, criminal psychologist for the LOST team, was trained to have the mind of a killer. With a serial killer father she put behind bars herself, she is the best at deciphering what a killer might do next, hopefully in time to save their victim. But when Sarah finds herself in the sights of a new killer emulating her father's sick rituals she is forced to face her past and the man that started it all. Jax Fontaine is a man that always gets what he wants, no matter how he has to go about getting it. And when he see's Sarah, he wants her. When a maddened killer uses Jax to get to Sarah, Jax will stop at nothing to protect her and prove to Sarah that he's worthy of not just her body, but her love as well. Are Sarah and Jax budding feelings enough to overcome their shadowed pasts though when truths are exposed and adversaries unveiled? 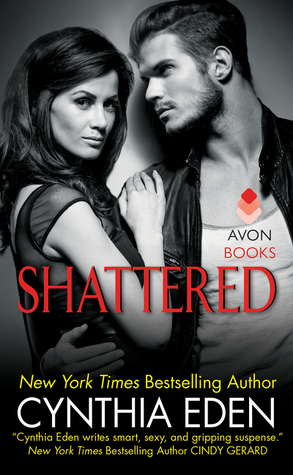 After reading and loving the first two books in Cynthia Eden's LOST series, I had no doubt that that the third book, Shattered, wouldn't ensnare me just as easily and I was right. The story picks up right where Twisted left off, and I loved every pulse pounding moment of Shattered. I would recommend it, and the entire series, to mystery, thriller, and suspense lovers everywhere. Cynthia Eden is a true master of romantic suspense! The plot moved at a fast pace, with layers upon layers of Sarah's hellish past and Jax's hidden one, opening before the reader with every page. Weaving and entangling the many nuances of the story and bringing it full circle to create several unexpected twists and connections. 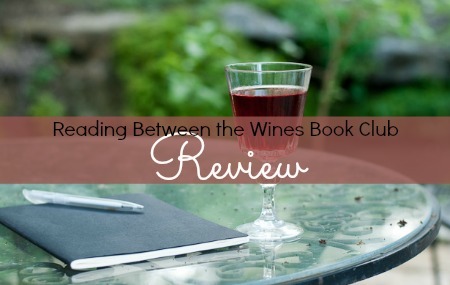 Eden's writing pulled me right onto the front lines of all the action and drama. I could easily picture the dark and gritty side of New Orleans; the danger that surrounded this group of characters, ducking when an explosion rocked a building or trying to make myself smaller when one of the characters found themselves in a terrifying situation. I know that I have said this before, but Eden has a scary talent of perfectly capturing the mind of a psychopath. Each of the LOST characters has intrigued me and by the end of the first book in the series, Broken, I was seriously invested in each of them. Jax and Sarah is no different. Their attraction simmered in the last book and it full out blazed in Shattered. The sexual tension between them sizzled and popped, and I loved every second of it. In the beginning of the story Jax and Sarah seemed like complete opposites, but as their pasts were revealed you began to see their similarities and startling connections to each other. How Eden weaved it all together, just wow. Together, Jax and Sarah were off-the-charts HOT. Even when Sarah was unsure about having anything to do with Jax, there was no denying the chemistry between them. Both Sarah and Jax were smart, caring, protective, and alluring characters. There was nothing about them that I didn't like. Bottom line; Shattered kept me on the edge of my seat and left me craving with ever page I turned. I dare you not to love a book from Cynthia Eden!